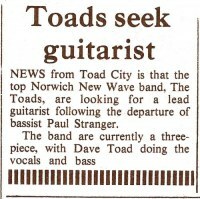 On the left is the press announcement of the 3Cs gig in late July 1977. The one on the right would have appeared around October 1977. 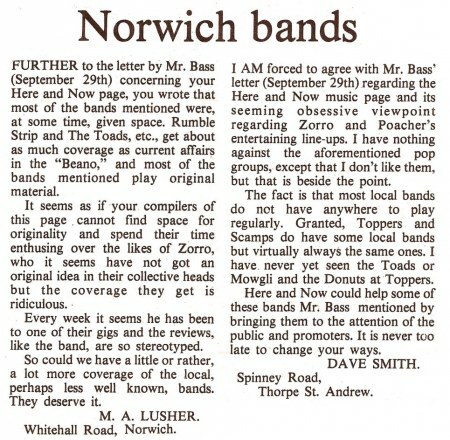 Several letters appeared in the Norwich Eastern Evening News complaining about their lack of coverage of music that their main contributor, Colin Cross, wasn't so keen on! First on the left is from 29th September 1977 and the centre letters appeared on 1st October. 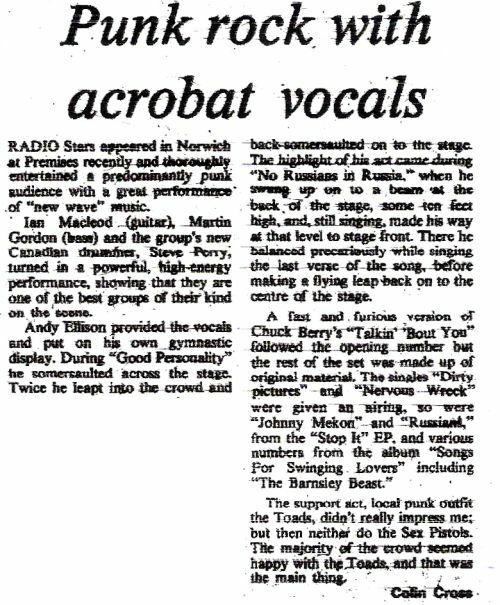 On the right is the report about the Street Roots event from the 26th October 1977.